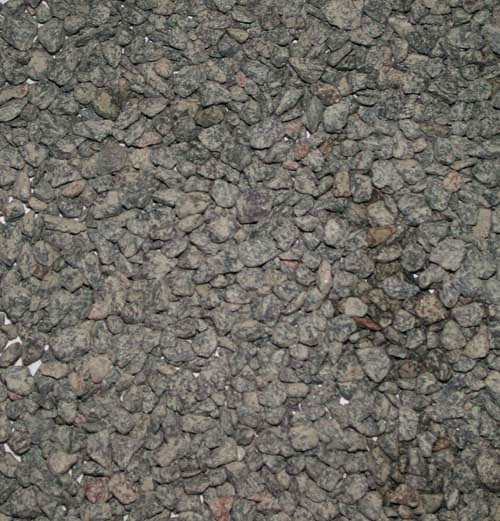 Dry shake aggregate floor hardeners are commonly applied to the surface of freshly placed concrete to improve wear resistance and occasionally add colour to a concrete surface. 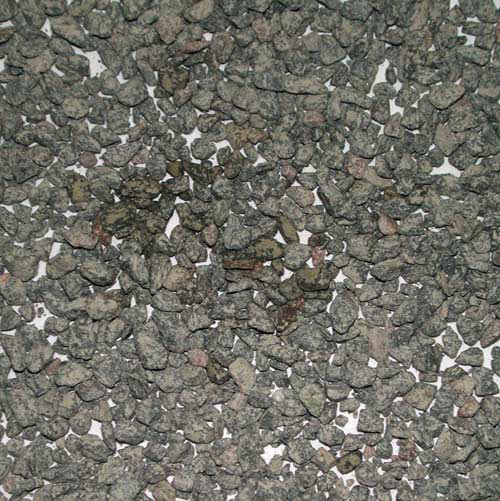 Application rates and the type of aggregate material varies depending upon the degree of abrasion resistance that is anticipated. All surface hardeners are a blend of specialized aggregates and cement binders which may incorporate coloured pigments or be naturally coloured. 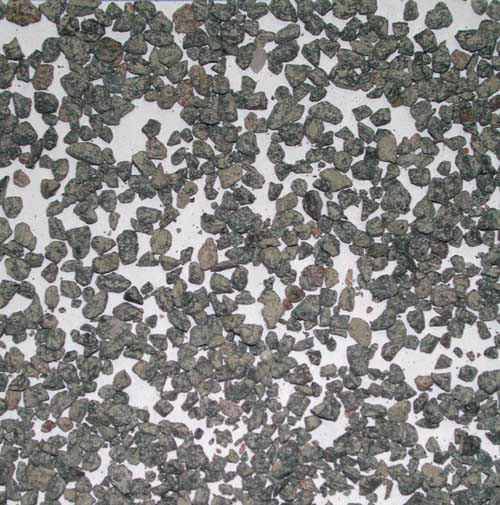 The pictures above show three typical application rates of a non-metallic traprock aggregate hardener. As you can see, the 3.0kg/m2 [60lb/100sf] “Industry Standard” light application rate has some spaces between the aggregates, the 5.0kg/m2 [100lb/100sf] medium application rate has less spaces and the 7 kg/m2 [140lb/100sf] heavy application rate has no spaces and the thickness of the hardener has begun to build. Note that the thickness of a hardener has nothing to do with abrasion resistance. 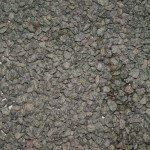 The quality of the aggregate used produces a consistent wear resistance. The thickness of the hardener increases service life only. The application of surface hardeners is achieved through both hand and mechanical application. Hand application is normally completed after the initial set and floating of the concrete in order to maintain the hardener at the surface of the slab. Mechanical application is commonly performed immediately after concrete placement, before any initial set of the concrete has taken place. Mechanical application is ideal for application rates of 5 kgs/m2 or higher, but are not generally advisable for lower application rates due to concern over the aggregate sinking below the slab surface in the plastic concrete. The maximum application rate by hand is generally 5kgs/m2 (7.5 kgs for mechanical application). The maximum application rate should not exceed 7.5 kgs/m2 due to significant concerns over the possibility of delaminations between successive layers of hardener and the base concrete. Pigmented hardeners should be applied at a minimum rate of 6 kgs/m2. Various rates can be specified in a building to suit the different uses in different areas. 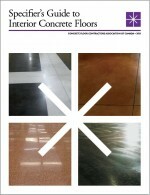 Higher application rates reduce the achievable finished floor tolerances. Accessibility, ambient conditions and low water/high cement content concrete mixes can make medium and high application rates extremely difficult to install and should be carefully considered during the design and planning stages. Concrete mixes may require water adjustments for application rates in excess of 3.0 kgs/m2. It is generally not recommended that more than 5kg/m2 be applied on fresh concrete when using mechanical application methods. 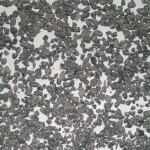 ## Metallic aggregates will rust in wet environments. ** Superflat Floors generally do not use surface hardeners due to a reduction in achievable tolerances. 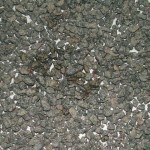 Use of a low water:cement ratio concrete mix (maximum 0.50) and a liquid hardener will generally produce suitable abrasion resistance for Superflat environments. Concrete mixes for interior floors should not include air entrainment and should not have a measured entrapped air content of more than 3% (whether a dry shake hardener is employed or not). Concrete mixes should comply with the recommended mix design considerations. Quality control checks include: (1) the brand and product name of the hardener being applied, (2) the number of bags of material that are on site to install and (3) the number of bags of material actually applied to the surface of the concrete. Most hardener material manufacturers will provide for on-site inspection if requested by the Owner in the specifications. Full application rates may not be possible in all conditions. Poor access, hot weather conditions and incorrectly designed concrete mixes can make the application of surface hardeners impossible to install at rate of 5kgs/m2 and higher. Surface hardeners are generally used for interior surfaces only. It is always best to send us an email with your particular circumstances and we will be happy to assist you with your project specification.